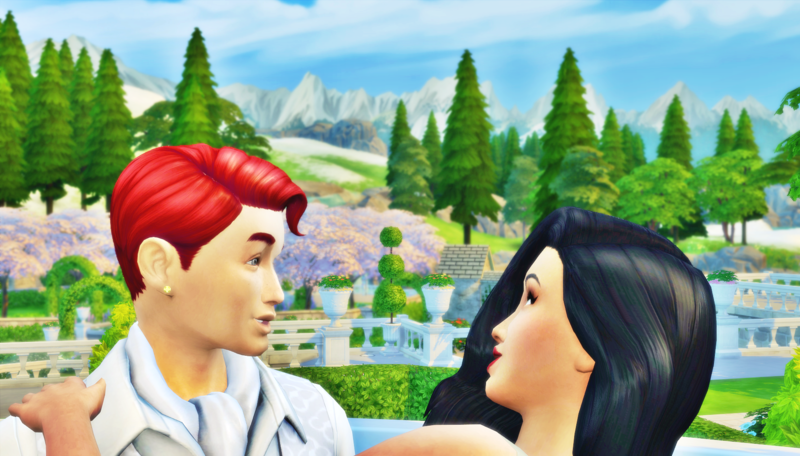 Luca and Daniella landed in Windenburg, the first family in the rotation to move onto a lot. 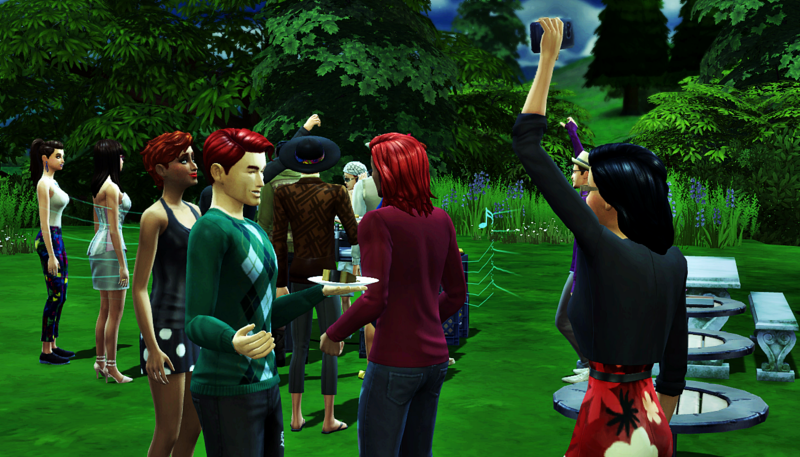 As a result, Luca’s birthday neatly lines up with the likes of Johnny Zest and Eliza Pancakes, and Daniella’s birthday lines up with the likes of Elsa Bjergsen and Luna Villareal. Their very first autonomous act after entering the world was to hug each other. It became pretty clear from the beginning that even though Luca was the big brother, Daniella took care of the two of them. She cooked and cleaned, and made sure they weren’t completely isolated on the far Windenburg coast. It wasn’t too long before Luca settled into his new job–in the Criminal career track. He wasn’t making a lot of money though, so his father back in Veronaville began helping them out. Daniella wasn’t pleased to hear that Luca was still in communication with their father, and accepting money from him. She knew the money came from an unsavory source. But she felt she had to appreciate that her brother was doing everything he could for her. Because of his sacrifices, she was safe and able to focus on school. Luca saw himself as a bit of a ladies man. But the first woman he chose to direct his attention towards, a lovely gal named Jocelyne, let’s just say she wasn’t interested in what he had to offer. She and Luca stayed friends though, and that friendship was easy to maintain because she moved nearby. After she got married. To Luca’s neighbor. Mila Munch. Meanwhile, Daniella was invited to join a club of teens by Quincy Epstein (recap for his family coming next). Their club didn’t do much, but it was a great way to make friends. And lovers. This our first time seeing Quincy & Daniella together. He’s totally smitten with her already, and she has no idea. Honorable Mention: This is also when teenage Baby Branham meets Leslie, his future wife. Quincy really affected a lot of lives by starting this club. Their first Christmas in the house wasn’t fancy, but Luca tried to make it nice for Daniella. Their family holiday photo was pretty funny because they couldn’t coordinate their smiles. Shortly after that first Christmas, Laurel Epstein showed up at the Holloway house. She was there to invite Luca to join her newly formed doesn’t-have-a-specific-purpose-but-who-cares club. 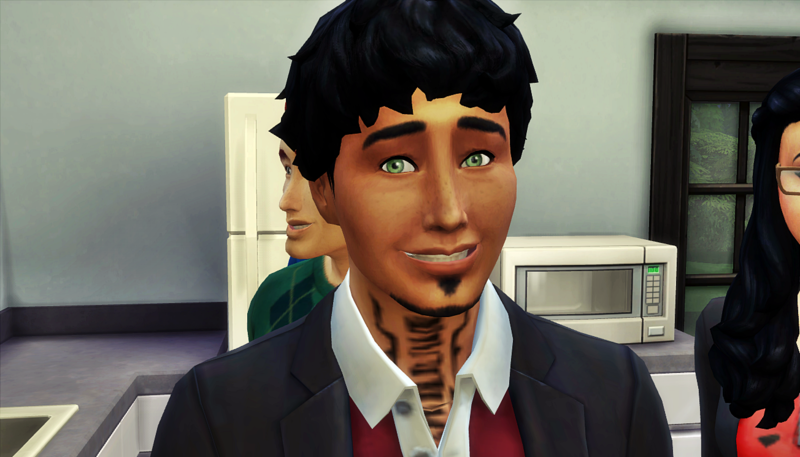 He was included because he lived in Windenburg (diversity!) and because his little sister had the nerve to catch Laurel’s son’s eye. Luca could tell Laurel had money, and he figured it couldn’t hurt to cozy up to the people she might introduce him to. 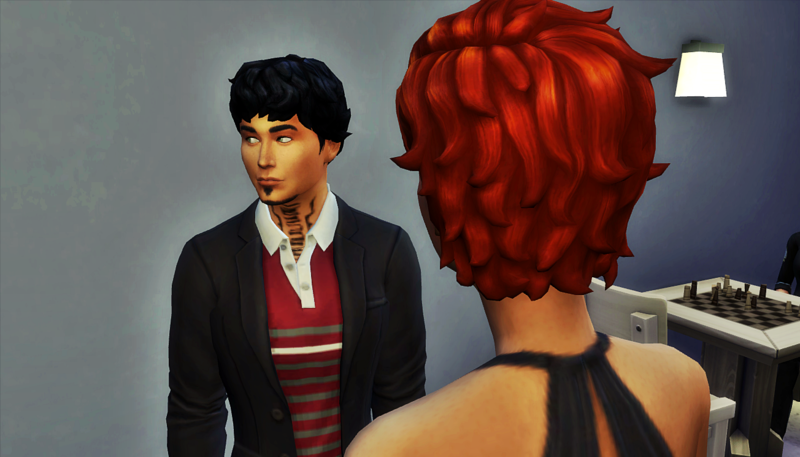 While Luca was getting to know his new club members, and starting to climb up the Criminal career ladder, Daniella was getting to know her new sweetheart Quincy Epstein. She also decided to pick up a pen pal. She joined the Pen Pal Project, and began exchanging letters with a mysterious and thoughtful woman named Sienna. Even though they had each found interesting things to do with their time, Luca and Daniella remained close. They even went on brother/sister dates to catch each other up on everything going on. After hearing all about Daniella’s deep love with Quincy Epstein, Luca decided he needed a love of his own. Continuing his pattern of not choosing well, he sought out the company of a beautiful co-worker name Nicole. Up to this point, the best times they’d shared was shoving a random man who owed the boss money into a too-small trunk. Throwing two good-looking people together doesn’t always guarantee success, and there was no spark. But Nicole had a roommate. A pretty girl who was a bit of ditz and never seemed to notice her roommate was a full blown henchman and not a runway model. After a long night hanging out with Nicole and Liz, Luca was sure he was in love with Liz. Lucky for him, Liz felt the same. She agreed to move in with him that day, much to Daniella’s chagrin. Daniella, already familiar with Liz’s airhead ways from attending high school together, felt Luca was moving too fast. But who was she to stand in the way of love? Luca was willfully oblivious to the fact that none of his friends or family were feeling Liz. After she had an unfortunate meeting with his club members on a trip to the gym, Luca proposed. He just wanted Liz to feel loved and welcomed and wanted. She happily said yes. Shortly after their engagement, Daniella reached the end of her patience. She dragged Liz outside to the wedding arch, and aired her grievances. Liz stayed calm, but made it clear she was here to stay. The wedding happened despite Daniella’s protests. In attendance at the wedding was Daniella, the rest of Luca’s club, Liz’s parents and old roommate, and Luca’s would-be ex Jocelyn along with her wife Mila. 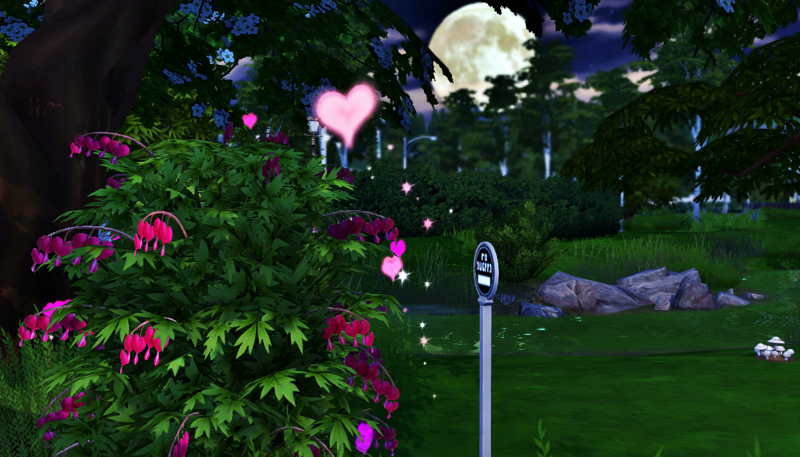 Never was there a Sim wedding ceremony with so few smiles. But all the mattered to Luca and Liz was how happy they made each other. Quincy had to work, so he missed the wedding, but Daniella’s entire night improved once he arrived. Quincy and Daniella spent the night together at her house. They decided the very next day, she would move in with the Epsteins. Even though she was trading out a contentious relationship with her sister-in-law for a contentious relationship with her future mother-in-law, she still felt it was a necessary move. They arrived to the Epstein house the next day, ready to hang out as a new family. There was just one hitch. Daniella loved how full of life and music and people and love the Epstein house always was. Even though there wasn’t room for her (her +1) anymore, she still made the most of her time with them when she could. Daniella and Quincy moved into a cheap house in Oasis Springs for the duration of her pregnancy. it wasn’t meant to be their permanent home–Quincy’s mom was building them another home that would be completed shortly after their babies were born. That’s right–babies. They got pregnant with motherfucking triplets. They happily spent most of the pregnancy spending the night at Quincy’s parents’ house. They wanted more room, better food, and a butler to clean up after them. Back at the main Holloway house, Liz took quickly to country life. She started an orchard and spent a lot of her time there. So much time in fact, that Luca felt a bit neglected when he should be in the full swing of his honeymoon phase. And being the mean and mischievous Sim that he is, he didn’t handle the idle time well. Oh, and there was the fact that Liz kept making him put on a shirt. He reminded himself, as he prepared his own breakfast while wearing a shirt and a jacket, that he married a great and loving woman, and it would be okay. Luca’s adult birthday rolled around, and he was again wearing layers. Liz invited a house full of people to celebrate him getting older. Luca wasn’t a fan of this, but he went with it. He rarely told Liz no. She was so sweet and so nice, he couldn’t bear to say no to her face. 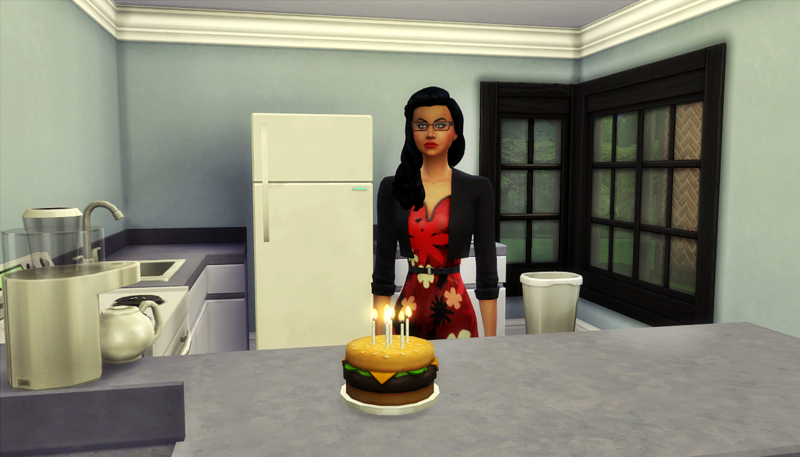 Liz’s party wasn’t well planned though, and Daniella ended up having to make her brother’s birthday cake. It wasn’t how she planned on spending her first night out away from the triplets, but she made it work. Luca aged up to Adult. He realized he was getting better and better at plastering a smile on his face when the occasion called for it. Out for his first jog as an Adult, Luca contemplated many things. Then fate dropped Luna Villareal into his lap. He saw it as a moment to reclaim a bit of how he saw himself. And as a bonus, he felt like he was getting revenge on the Villareals on behalf of his club friend Carmen (we’ll do a whole recap for Carmen, don’t worry). Luca was pleasantly surprised it had been so easy to get Luna into the bush. It was almost too easy. He waited for the perfect moment after they were done to flip the script on her. She fled from the area in tears, and Luca, feeling so good about being so bad, headed home to shower before his wife got home from work. Liz had a bad day that day. Luca coached her to finally get that promotion from her boss. And they celebrated by deciding to have a baby together. In the future. Well, they agreed to start talking about deciding to have a baby. Okay, okay, I’ll give you a bit of it. Their home was finished, and they moved in. 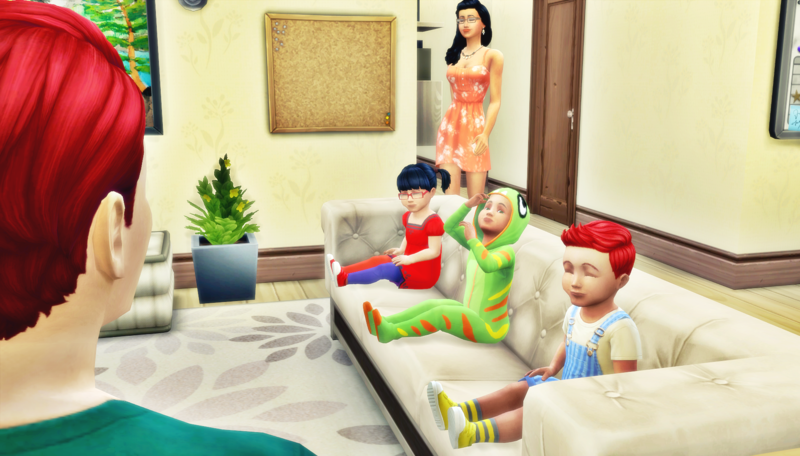 Daniella and Quincy were clearly outnumbered, but they loved their little family, and wouldn’t have it any other way. I feel like I haven’t properly conveyed how long it took for Quincy to propose. It took forever!!! But, with the help of their triplets, Daniella’s favorites of his sisters, and Luca, he finally proposed to her in an elaborate setup at the Von Haunt Estate. Okay, back to Luca and Liz. Before long, Luca and Liz settled into being a married couple. Luca was doing all sorts of terrible things behind her back, but Liz’s capacity for willful ignorance knew no limits. The time they spent together was always great, as long as Luca wore a shirt. They even had couple friends: Baby & Lesley Branham. They were named dropped approximately 800 words ago as being a part of the same teenage club as Daniella back in the day. Now they were married with a baby. Baby (the father) was congenial and everyone wanted to be his friend, even misanthrope Luca. The two couples enjoyed their time together, and were happy they were friends. Being around the new parents made Luca and Liz realize it was time to make a baby of their own. Being around the happy newlyweds made Baby realize he hadn’t married for love, it was simply because he’d gotten Lesley pregnant. Round 9 for the Holloways ended before we found out if Luca successfully impregnated his wife. Congratulations! You are now all caught up on the Holloway family! Next we tackle the update for the Epstein family (and squeeze in more random references to Baby Branham). Previous postAuthor’s Note #13: Happy New Year! Where the Hell Have I Been?? This recap is great ! It’s amazing how much drama has occurred in your game and how fully developed the characters are! 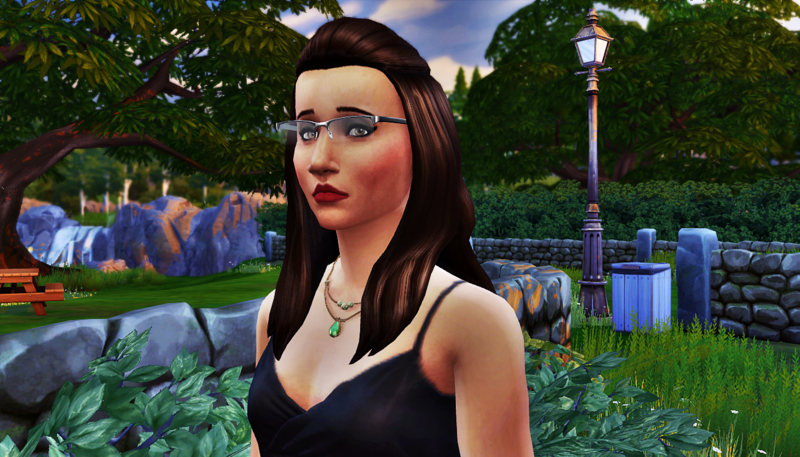 Sim-driven stories really can deliver complex stories ! Also , Liz and Baby are my big favs! Looking forward to all the other recaps , too ! What a great idea ! Thanks! I feel like my story his head a good bit of drama, so I wanted to update people so they know where we left off. Thanks! I’m having a lot of fun writing these. And considering how much my style of writing evolved over the first nine rounds, I kind of want to tell people who come to my story to just start with just the updates going forward, LOL.